Portuguese-born Manuel Joachim de França studied art in Lisbon before immigrating to the United States in the late 1820s, settling first in Philadelphia and then in Saint Louis, where he became the city's most fashionable portraitist. 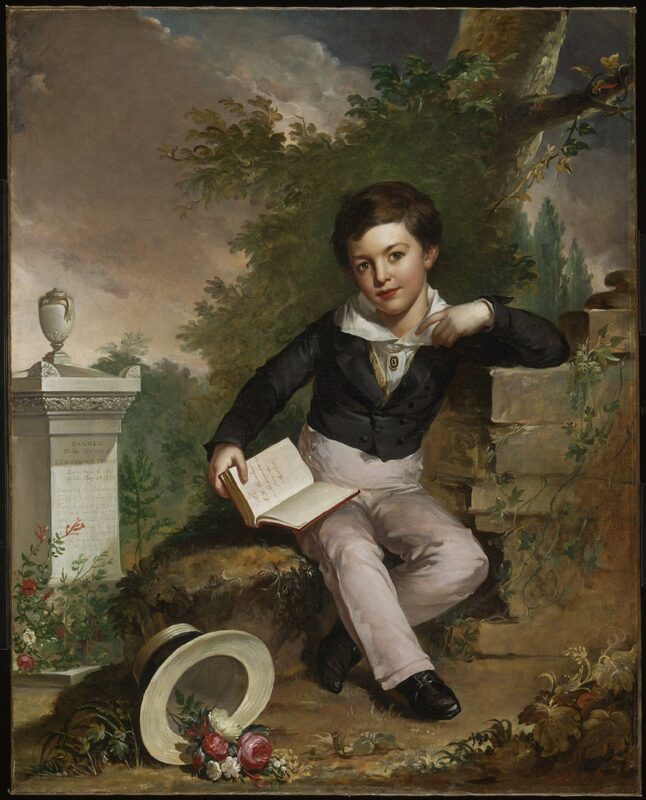 In its size and elaborate composition, this portrait of Matthew Hinzinga Messchert of Philadelphia is De França's most ambitious work, and its pleasing combination of bright pastel colors with more technical dash than is usually evident in his portraits suggests the influence the artist's friend Thomas Sully, the city's most famous portrait painter. The charm and freshness of the picture momentarily distract us from observing that the cemetery monument at the left is dedicated to a woman of the Messchert family and that Matthew holds a book inscribed a "Remembrance from his Mother." This painting is thus a mourning picture, a popular art form that appealed to the romantic sentiment of the early nineteenth century. De França's portrayal of the young man as a living memorial to his dead mother is one of the largest and most touching examples of the genre. Darrel Sewell, from Philadelphia Museum of Art: Handbook of the Collections (1995), p. 274.